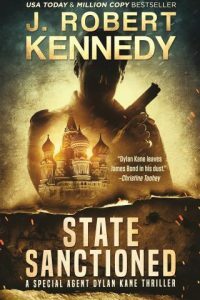 CENTURIES AGO, THE VIKINGS AND THE ISLAMIC CALIPHATE NEARLY WENT TO WAR. AND TODAY, MORE INNOCENT BLOOD WILL SPILL. 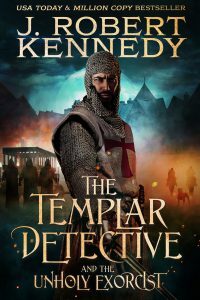 In 989 AD, when informed of her impending arranged marriage, Fatima takes drastic action with her forbidden lover, Viking Prince Magnus, actions that not only have immediate consequences for her entire family, but reverberate a millennia later. 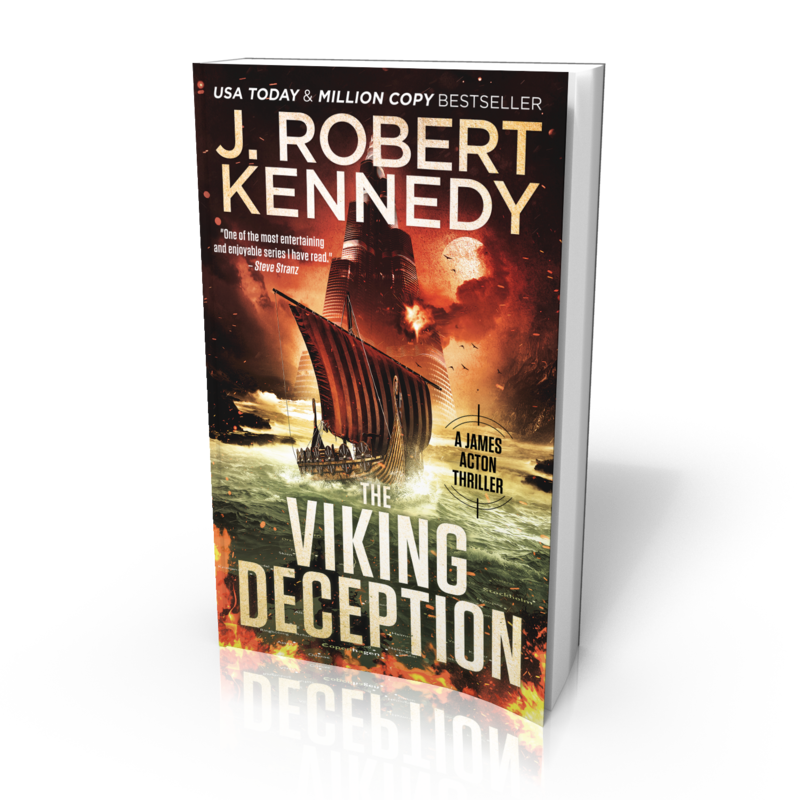 When Archaeology Professor James Acton receives an invitation from a friend to visit a new dig site where an unusual artifact has been discovered linking the Vikings to the Islamic Caliphate, he and his wife eagerly accept. But upon arriving in Stockholm, Sweden, their friend is nowhere to be found, last seen entering the Saudi embassy and not heard from since. 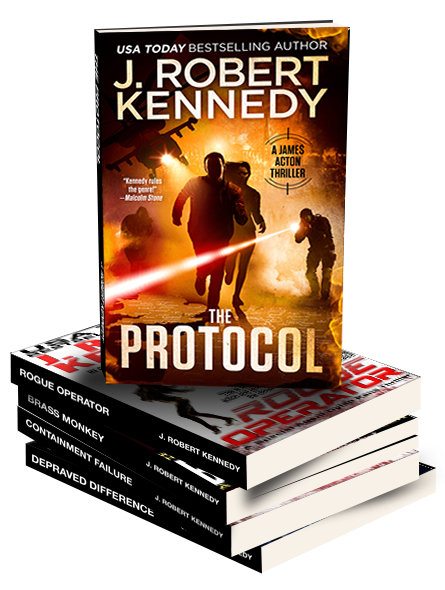 Before they can notify the authorities, Acton receives a disturbing phone call, and is forced into action to save his friend. Becoming a criminal in the process. 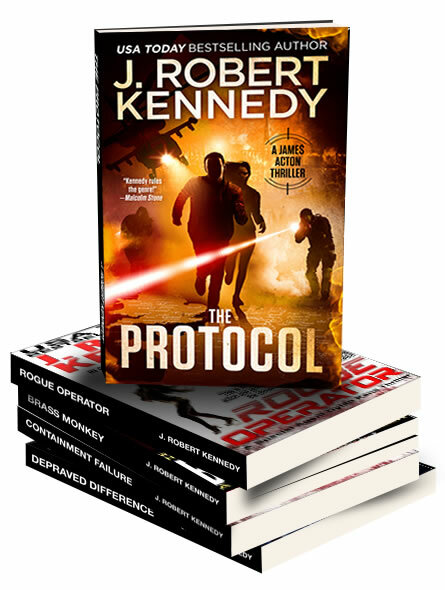 Award winning and USA Today bestselling author J. Robert Kennedy once again twists history and today’s headlines to his own ends, delivering an action-packed thriller sure to leave you burning through the pages. 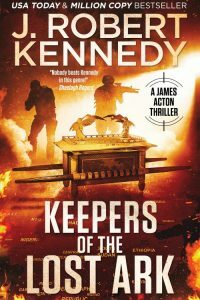 If you enjoy fast-paced adventures in the style of Dan Brown, Clive Cussler, and James Rollins, then you’ll love this thrilling tale of archaeological intrigue. 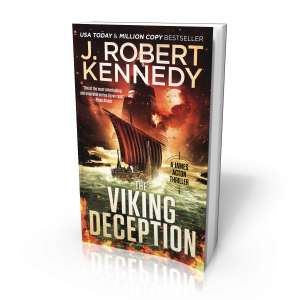 The Viking Deception, the latest novel from USA Today bestselling author J. Robert Kennedy, available everywhere books are sold November 28th, 2018! Glad you enjoyed it, Doc!